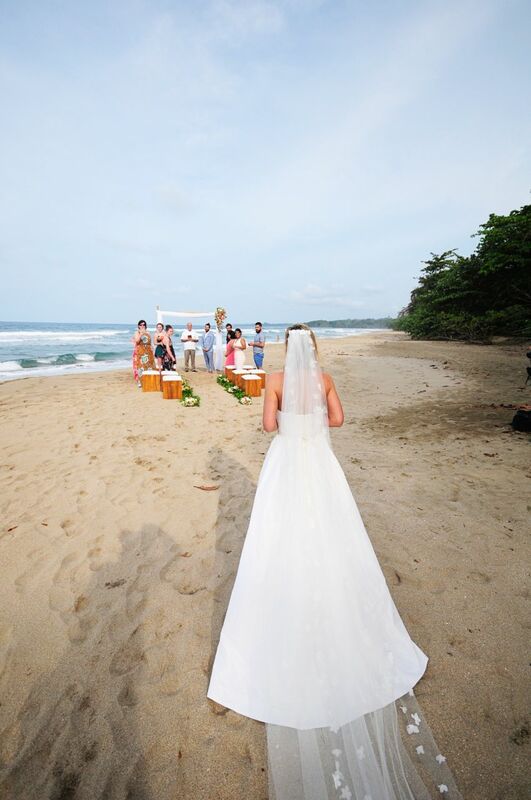 Wedding ceremony at Playa Cocles, Costa Rica. The summer Julian and Susan met was unexpected. 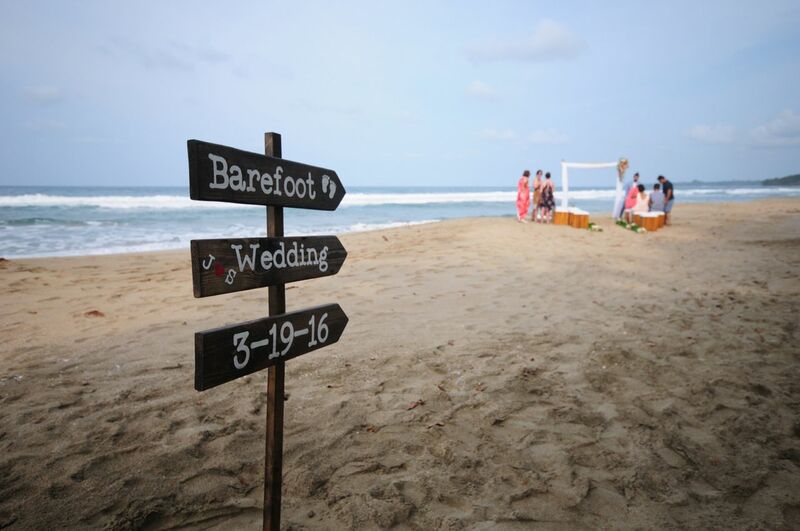 During a trip to Thailand, each had no clue they were about to meet their best friend, their soul mate and today, their forever. Strong believers in fate they knew that all the trials in their lives would eventually lead them to finding one another. Their relationship has been anything but convenient. They spent 2 years saying goodbye and living for the next time they would see each other again. This relationship has changed not only the way they think about love, but what a relationship should be and what love can be. 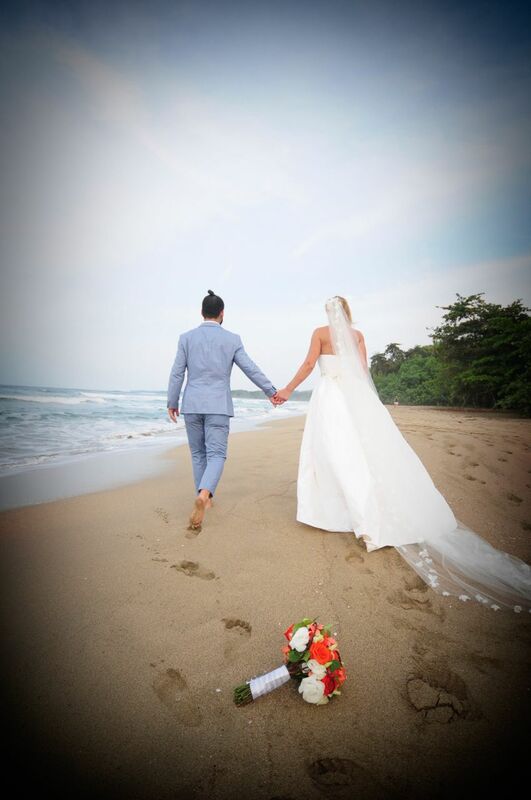 Renting a beautiful villa on the Caribbean Coast close to Puerto Viejo was were the family started their wedding weekend celebration. 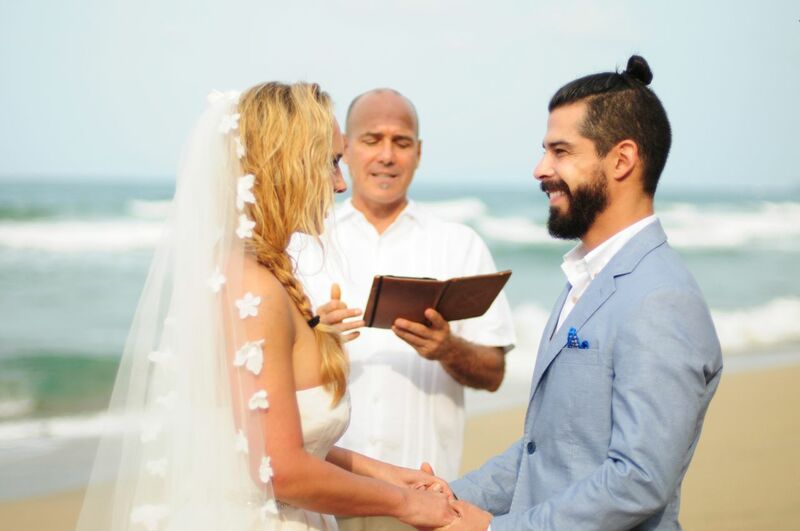 The ceremony was on the beach at nearby Playa Cocles. 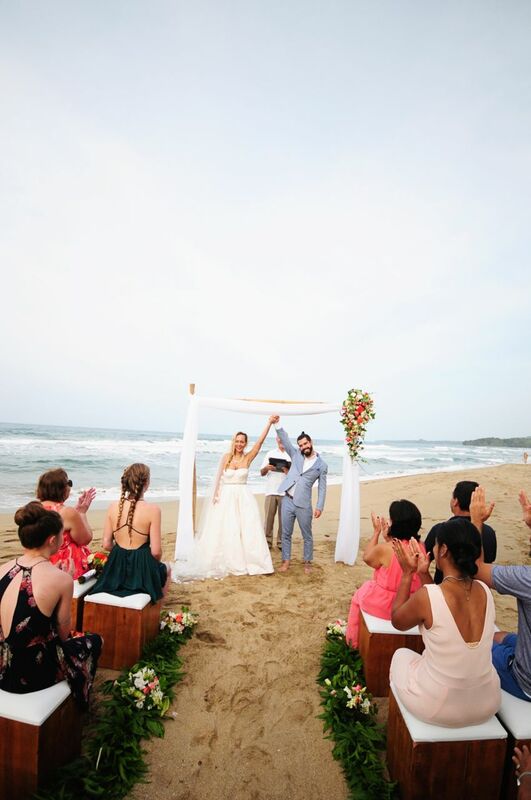 The white sand and ocean breezes provided the perfect backdrop for this union. 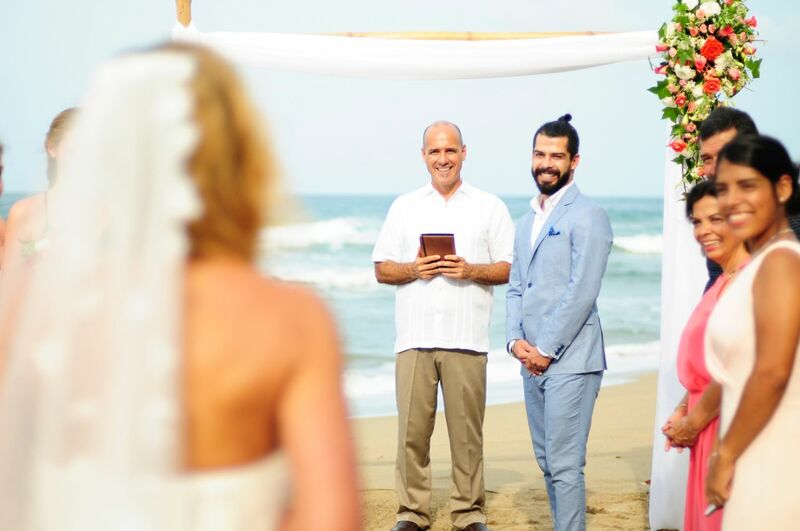 Joined by Susan’s daughter, their parents, brothers and sisters made this a very intimate ceremony which mirrored their feelings about each other. The flowers were shades of coral and pink The decor featured an arch and white cubes for seating. They each found someone who is compassionate, was able to bend, and, most of all was deeply rooted to embrace each other’s strengths and struggles. They have endured things that have tested and driven them to their emotional limits, but they never broke. And this is what makes Julian and Susan a great love story. A special thanks to El Velo Photography. 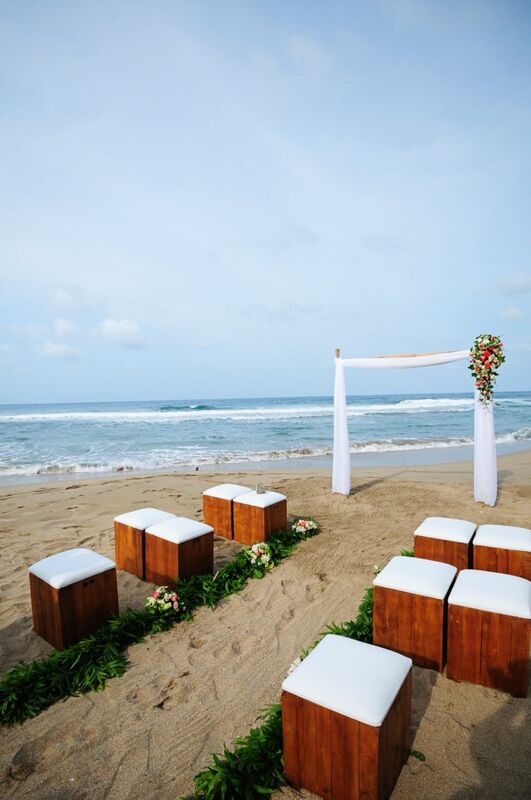 This entry was posted in Beach Wedding, Caribbean Weddings, Wedding Ceremony, Wedding Flowers, Wedding Locations, Wedding Pictures, Wedding Planning by Randy Gritz. Bookmark the permalink.